It’s a beautiful day and I’m trapped at my desk. I should be spending my lunch break outdoors with a sandwich and a park bench. Instead, I’m daydreaming and blogging about sewing. Makes sense that my head would be filled with fabric and seams…this is the week I chose to return to weekly sewing after kicking off Operation Sew Balanced (something I’ll be continuing a while longer). 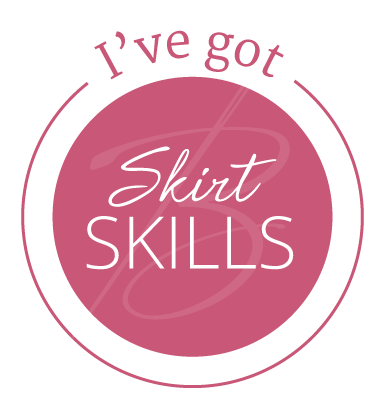 I’ve been working on a garment for this week’s “Tickled Pink” Challenge and have been steadily focused on it all week. Rise. Sew. Job. Sew. Sleep. Repeat. Now, of course, there’s little bits of life in between sewing and working, but the consistent return to sewing and steady progress (vs. a marathon weekend of sewing in pajamas with only take-out menu reading breaks) has been nice for me. I should finish it in time to post it on Friday. This entry was posted in Challenges, Editorials, Operation Sew Balanced and tagged fabric preview, garment preview, pink challenge, sew weekly challenges. Bookmark the permalink. Oh yeah, the zen is flowing strong after my break….though I’m also liking the mild buzz of adrenalin that comes with being back in the weekly sewing game. Thanks again for sparking all of the additional traffic flow here. All of these new readers is exciting…totally motivates me to sew somethings with gusto.